Information gathering, actionable intelligence and undercover investigations are powerful tools to fight wildlife and forest crime and to push governments to change and/or enforce national laws, as well as regional and global treaties. Being able to work constructively with pro-active, non-corrupt law enforcement agencies is equally important. Fighting wildlife crime is not just about awareness campaigns or deploying the latest technology to remote areas; organized, competent, and effective law enforcement is a substantial and much-needed deterrence. So is telling the complete story. Threats to our wildlife and forests, particularly poaching and trafficking, cannot be addressed only through awareness or demand reduction campaigns. Even funding and empowering rangers to protect wildlife on the ground is not enough. Due to the complexity, international reach, and organized criminal networks associated with poaching and trafficking, illegal fishing and illegal logging, only professional intelligence and investigative activities can effectively shine a light on and thwart these crimes. 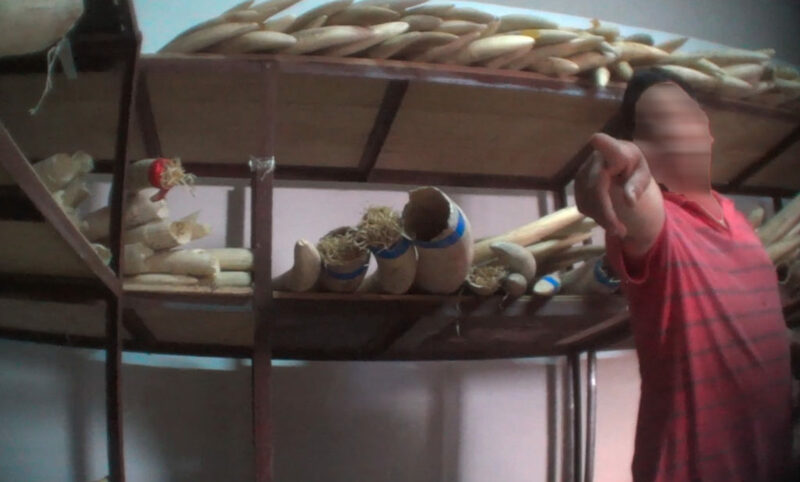 Operation Game Over – Ivory trader in Beijing, China. Provide national and international law enforcement with information and evidence that can lead to further investigations, arrests, prosecutions and the disruption/destruction of criminal networks. 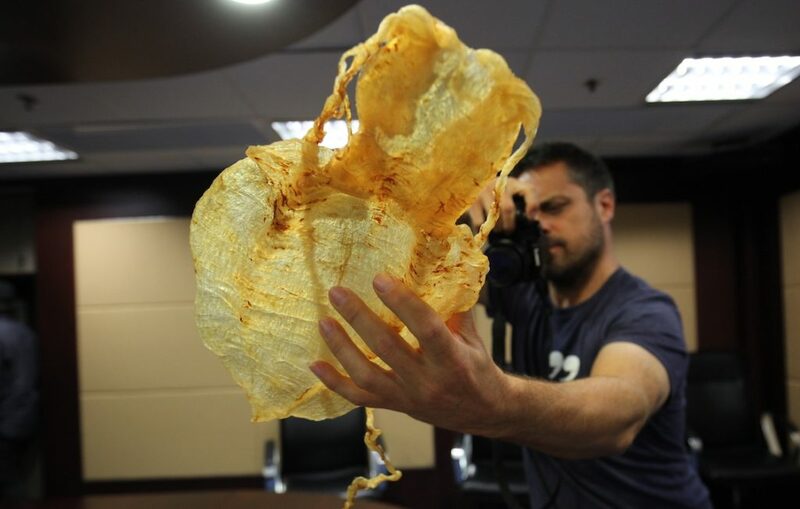 As an example, EAL’s undercover investigations in China, Hong Kong and Vietnam (see Operation Game Over and Operation Red Cloud) not only informed the public and policymakers about the extent of illegal trade in ivory and rhino horn, but also provided actionable intelligence to Chinese and other international authorities. 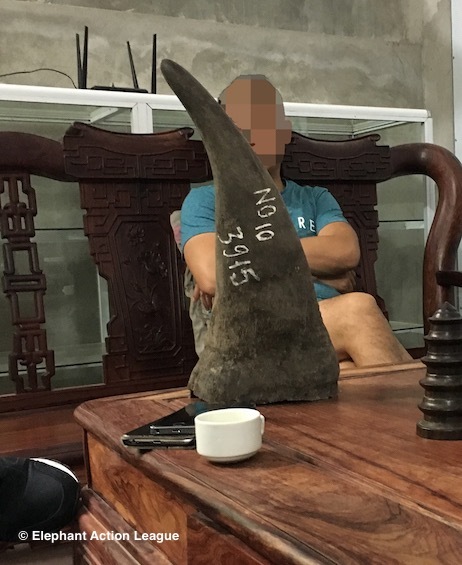 In Thailand, months of investigation by our team, allowed the Royal Thai Police and Customs to arrest two of the most important wildlife traffickers in Asia, who had been smuggling ivory, rhino horn, orangutans and other illegal wildlife for years (Operation Mozart). Evidence-based recommendations and outcomes developed as a result of professional investigative work will ideally affect change at many levels. Crucially, nobody can be perceived to be outside of the reach of the law. In order to conduct intelligence-gathering operations and independent investigations in certain countries, and to be able to publish the findings and protect our integrity, we cannot be based in those countries, as we cannot have offices and personnel who could become a liability during a potential confrontation with a body under investigation. Our role is not to be part of the local establishment of NGOs, activists, governmental and inter-governmental organizations, but to act as an external agency with the goal of collecting and sharing actionable information and intelligence, without the risk of being censored, intimidated, or expelled.